Kirn talks about reading the novel as an adolescent in Minnesota and later in college after the assassination of John Lennon. He discusses how his image of New York and Central Park was shaped by Salinger’s descriptions and how he felt, on several occasions, that he had misread the book. Once he began publishing he says, comparisons were inevitable, since he was writing about young white men. Kirn emphasizes how the novel keeps haunting him, even as it becomes part of the backdrop of his life. Steinke discusses reading Nine Stories as the daughter of a minister living in Friendswood, Texas. She identifies with the misunderstood characters in stories like “The Laughing Man” and “A Perfect Day for Bananafish.” Steinke identifies herself as someone who felt privileged to have read Nine Stories in a town where no one had heard of it, where a teacher had extracted all the life from Holden Caulfield and where her father routinely heard confessions from people whose melancholy she saw exemplified in Nine Stories. She also talks about her visions of Salinger as mystic, and as flesh and blood man. D’Ambrosio describes reading Salinger in the wake of his brother’s suicide. 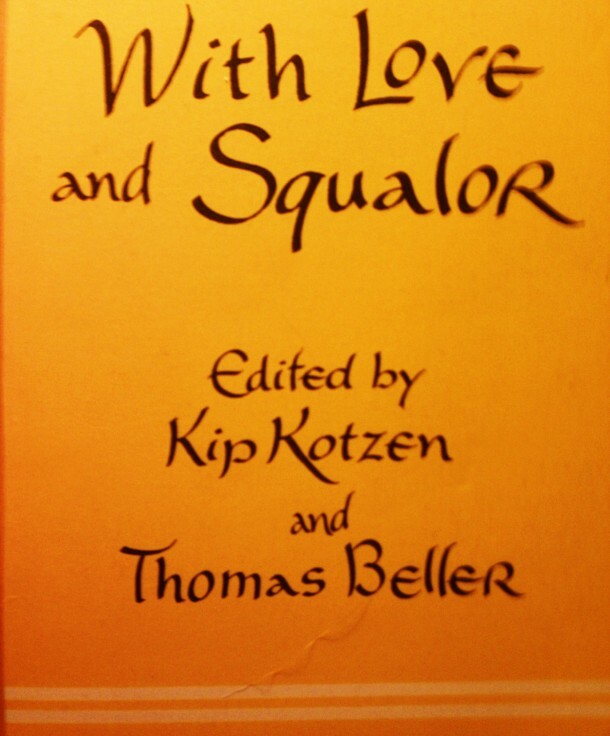 He stresses that even though he came to Salinger’s works as an adult and even though his views are tainted by the suicide of one brother and the attempted suicide of another, he finds importance more in what Salinger doesn’t say than in what he does. Overloaded with his own emotional baggage, D’Ambrosio’s essay makes excellent points about Salinger’s attention to family and his refusal to speak. Forrest describes her short-lived love affair with Salinger’s work. She then goes on to criticize Salinger for his “workmanlike” use of language, which she finds lacking in comparison to writers such as William Faulkner. In the end, she fairly uncritically denounces Salinger as untalented and uninteresting. Hemon’s essay is a fairly interesting blend of personal reaction and critical attention to the ever-present children in Salinger’s work. Hemon describes the importance of tangible, though commercially unvalued things like wax and olives. The problem, he says, is that children inevitably grow up, thus, he laments the position of adults in Salinger’s world. Rosenfield describes being an avid lover of Salinger and of “Franny” in particular, and the unexpected reactions she had to the detials revealed about him in, among other things, the memoir of Joyce Maynard. She looks at eh personal/political divide and its implications for the world of art at large and examines carefully how she reads “Franny” now (in light of her feminist politics) versus the way she identified with the book as a young woman. Sohn’s piece is wtritten in a character-driven, dialectic-styled narrative. Amy goes on a date with a man nnamed Max and amidst the uncertainty of the evening pulls :Franny” out of her bag. The two discuss the work and its impact on their lives. Amy confesses that she loved the book and found it even better on the second read. The story veers into a parodic mode when Amy goes into the lavatory to cry and ends up pressing her copy of “Franny” to her cheek, as she realizes things with Max won’t work out. McNally recounts an episode at a Bread Loaf Writers’ Conference where a friend let out a large fart and how that memory, much like Holden’s recounting has stuck with him. McNally discusses the importance of the myriad minor characters in The Catcher in the Rye. There are over fifty such characters and McNally makes some very good points about their impact on the novel and its popularity. McNally praises Salinger for using these minor chracters “the waya pointilist uses paint.” (107) He reminds us that our full picture of Holden comes from his descriptions and observations of others, Ackley, Maurice, Old Spencer, etc. Bender, begins as many do with her initial reactions to reading The Catcher in the Rye. She relays the sadness she felt at the conclusion of the novel and how, like Holden, she felt alone. She also discusses her attempts, especially as a young writer to recreate Holden, or at least a representation of Holden that would be more relateable for young women. Beller discusses reading Raise High the Roof Beam, Carpenters while waiting for a train and bumping into a fellow passenger who was also reading Salinger (The Catcher in the Rye). He asserts thhat Salinger’s weather implies characters who wear coats, or forget them, or sling them over their arms, too hot or too cold. Beller discusses a shared identiifcation with many of Salinger’s ideas, but like Hemon sees issues with Salinger’s depiction and even dismissal of adults. Annastas describes Dream Catcher as an artless memoir and criticizes Margaret Salinger and Joyce Maynard for their attempts to open the world that Salinger quite purposely tried to keep cloistered. He considers what it means to keep secrets, and decides that what writers do not reveal can be equally important to those things that they do reveal. Bender describes the experience of reading Catcher in high school and then later reading Nine Stories as a novice writer. It is clear that she enjoys Salinger, but probably does not see him as literary. Stein posits the notion that salinger, a baseball fan, had a case of “the yips” (a baseball term indicating stress produced by early success) after writing Catcher. 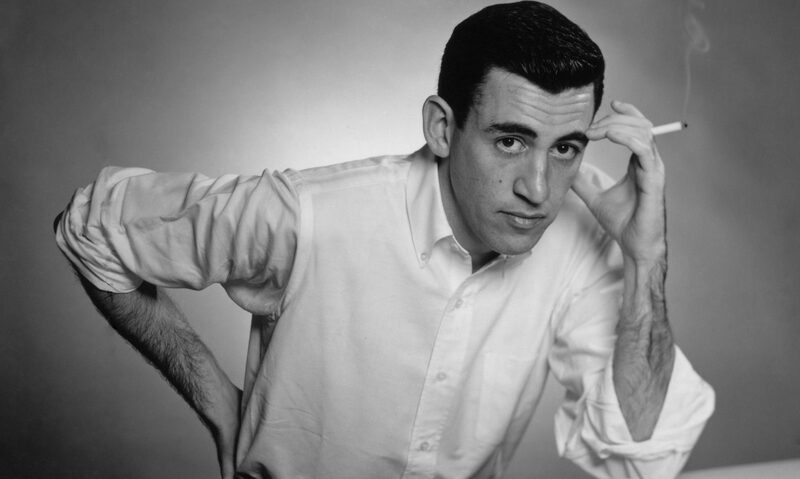 He says that it was Salinger who taught him how “honesty is reached through artifice” (174) He also notes how this knowledge kept him from getting “the yips.” He also speculates, based on his own experience, that it is Salinger’s satisfaction that contributes to his lack of productivity. Mendelsohn describes reading Catcher during the Christmas her parents separated. She describes Holden as her first literary crush, but suggests that he was looking for forgone things in a world incapable of providing what he needs (namely, she claims, a mother). She also describes her own disenchantment, which, like many others resulted from disclosure of the odd and intimate details of Salinger’s personal life.